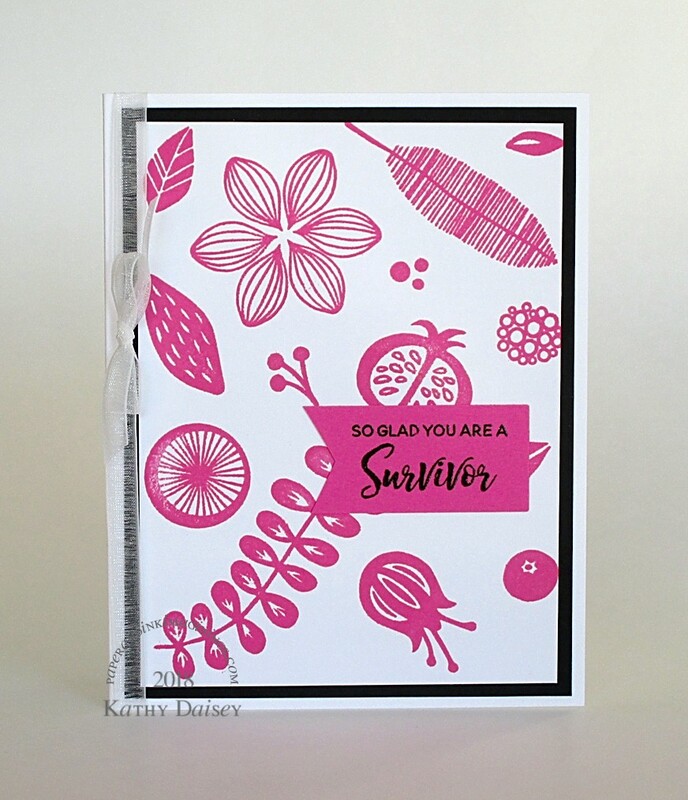 Since October is Breast Cancer Awareness Month, I thought I would make a card to send to one of the survivors I know. Supplies: Stamps – Essentials by Ellen, paper – Neenah Classic Crest Solar White, Stampin’ Up! Basic Black, Pink Passion (retired), inks – Stampin’ Up! Pixie Pink (retired), VersaFine Onyx Black, die – Spellbinders, embossing powder – Stampendous Detail clear, organdy ribbon – Offray. Categories: card, caring, encouragement | Tags: card, Essentials by Ellen, Neenah, Offray, Spellbinders, Stampendous, Stampin' Up!, Tsukineko, VersaFine | Permalink.